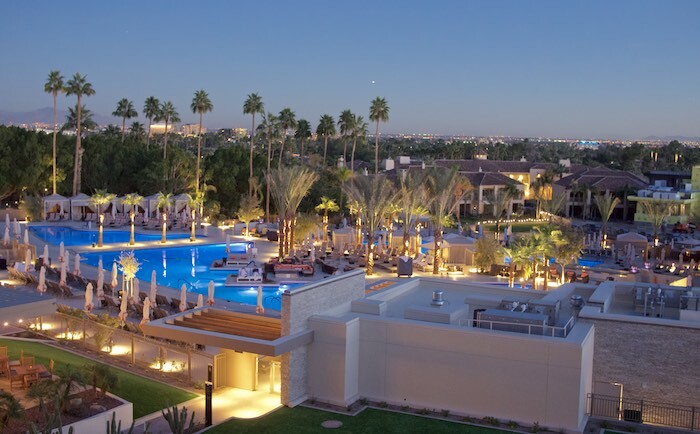 Nestled in the foothills of Camelback Mountain the newly transformed Phoenician resort is what today's modern luxury traveler expects to find at their favorite hotels. 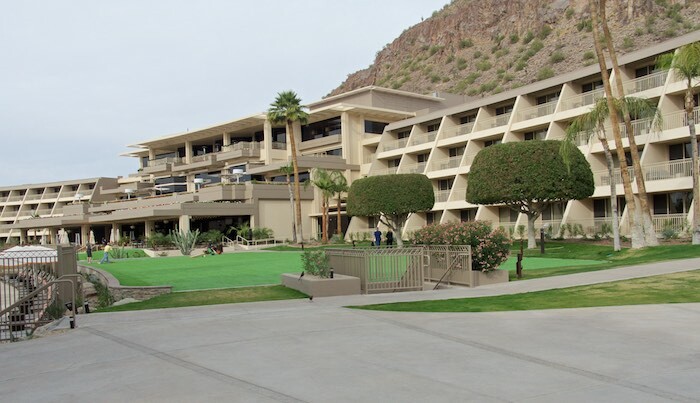 Epitomizing the casual Arizona lifestyle, the Phoenician offers everything from a full-service spa, to a state-of -the-art fitness facility, an 18 hole golf course, and an amazing pool area. Guests can experience it all right on property; including trapeze lessons. 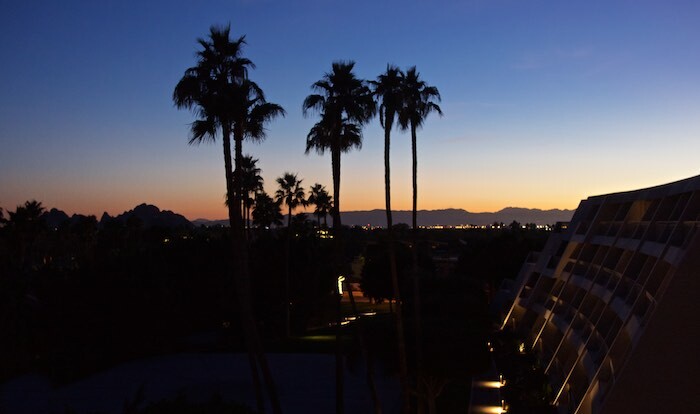 The resort's rooms, all of which offer amazing mountain, garden or city views, have been remodeled to include Southwest-inspired finishes. 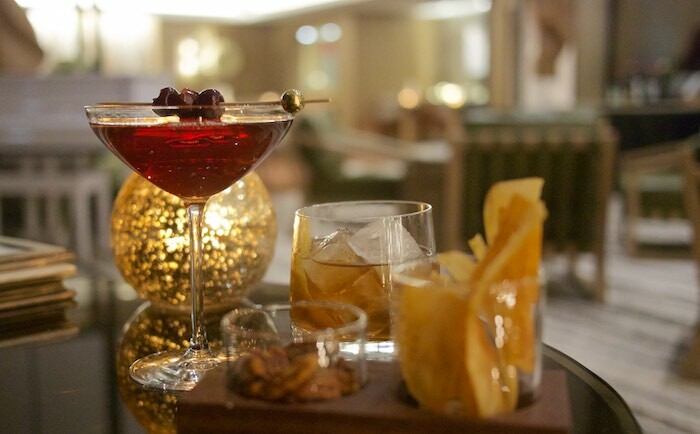 Adjacent to the lobby, the Thirsty Camel Lounge, offers a nice break throughout the day. 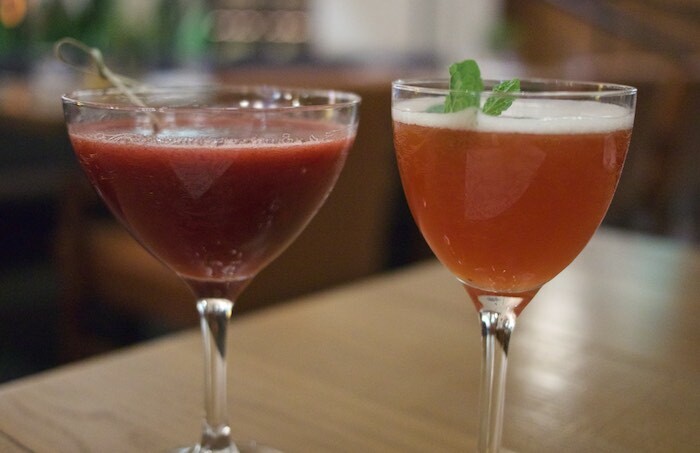 Guests and locals alike can expect to enjoy Sonoran inspired cuisine, craft cocktails and live entertainment. 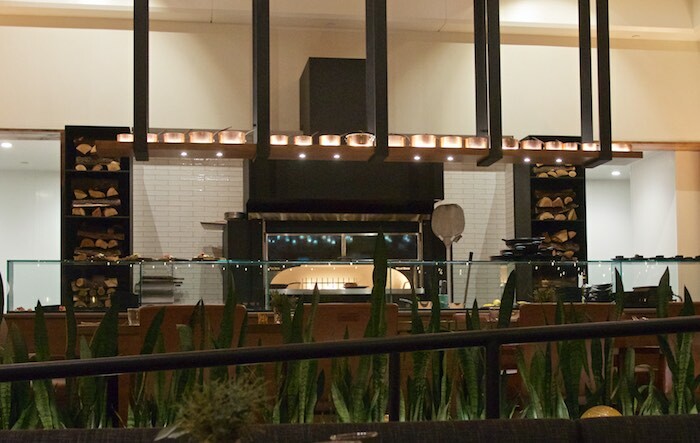 The Phoenician's new signature restaurant is Mowry & Cotton, a modern dining establishment offering delicious approachable fare. Chef de Cuisine Tandy Peterson, utilizes her signature style and knowledge of international cooking techniques to create seasonally inspired dishes which are served throughout the day. 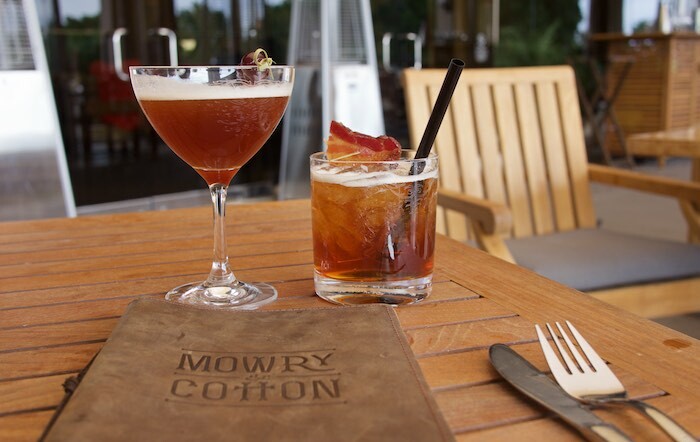 On a recent visit to Mowry & Cotton we had a chance to experience several items off the brunch and dinner menus; along with some amazing cocktails. 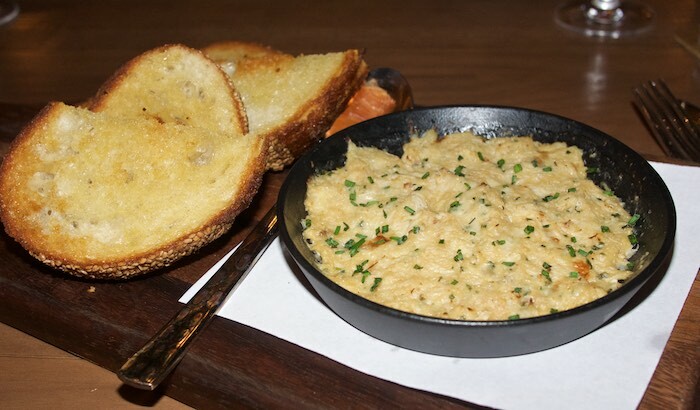 At dinner we shared a few small plates, one of which was the crock of warm Dungeness crab dip served with field grain bread. 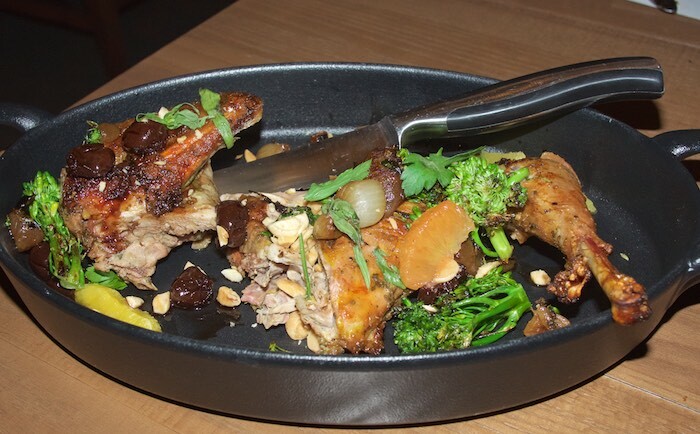 I absolutely loved this this dish as did my husband. 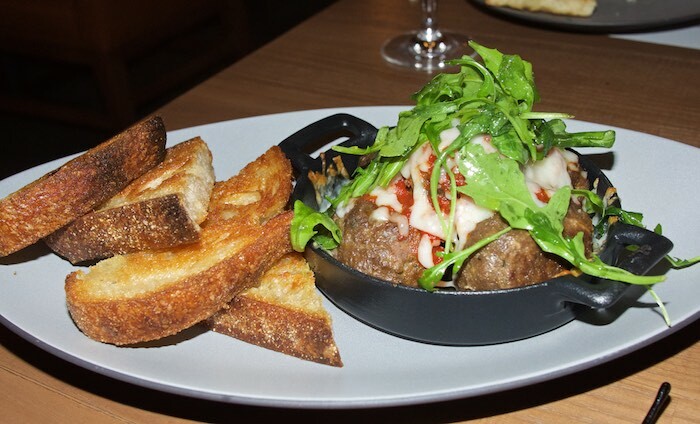 We also tried the veal meatballs, which were covered in melted cheese and topped with arugula. Another winner in our book. 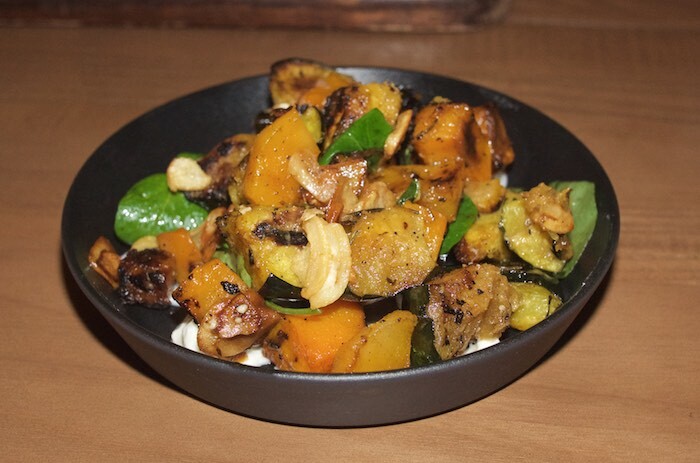 Next we sampled the roasted squash, which was a medley of squash on top of whipped feta cheese. The contrast of flavors in this dish was phenomenal. 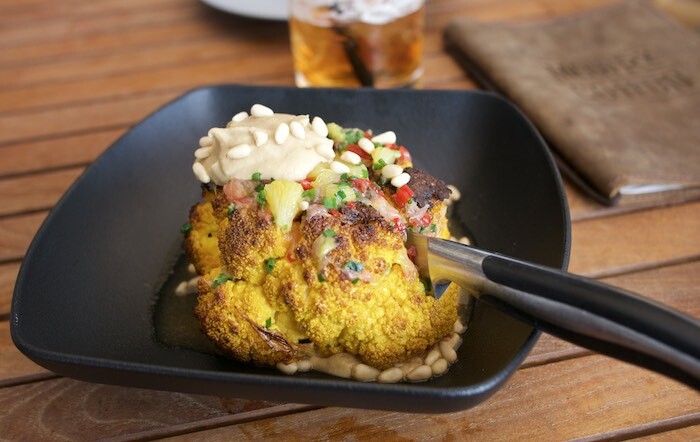 This was followed by the oven fried cauliflower served with hummus and Calabrian chile. Though my husband doesn't normally eat cauliflower he gave it a try and liked it. Next we shared a plate of the seared sea scallops, which we both agreed were the most delicious scallops we've ever eaten. We also shared a half portion of the grilled pheasant, which was plenty big for the two of us. Though I admit it was so tasty I wished we had gotten the entire bird. Dessert was the chef's rendition of a S'mores Pie; house made graham crackers, decadent dark chocolate and burnt marshmallow. my husband and I headed back to Mowry & Cotton for brunch. The weather was perfect for sipping cocktails on the patio while browsing the menu and enjoying the DJ. 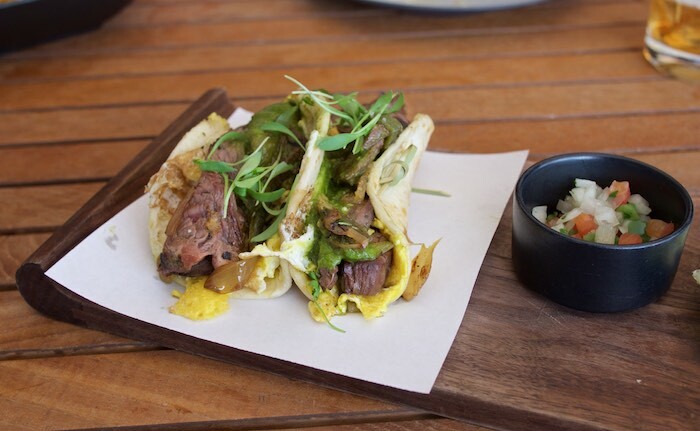 We each started with a carne asada breakfast taco and a side of the crispy potatoes. Both were extremely tasty and a nice start to our mid-afternoon meal. From cocktails and tacos we moved on to coffee and eggs. I was quite impressed with the breakfast bruschetta featuring crab-meat, avocado and soft scrambled eggs. My husband was equally impressed with his loaded smoked brisket eggs benedict. Though it's against my better judgement to eat dessert in the afternoon, Chef Tandy insisted we try her apple crumble and I'm so glad we did. 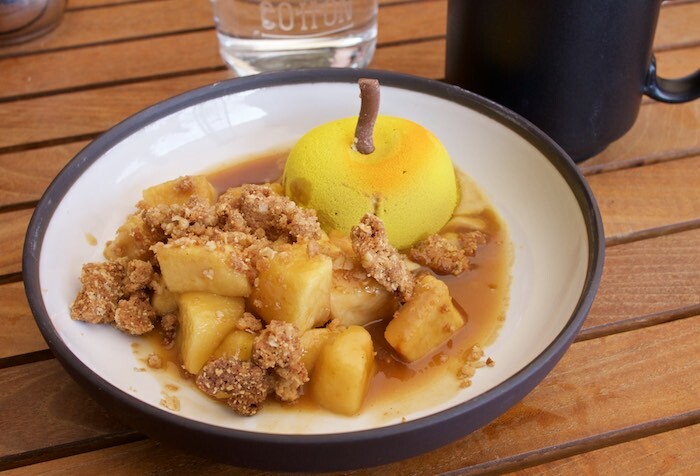 We were served a bowl of the most amazing apple shaped ice cream accompanied by real apples and an oat crumble. I can't begin to explain how delicious this dessert was. 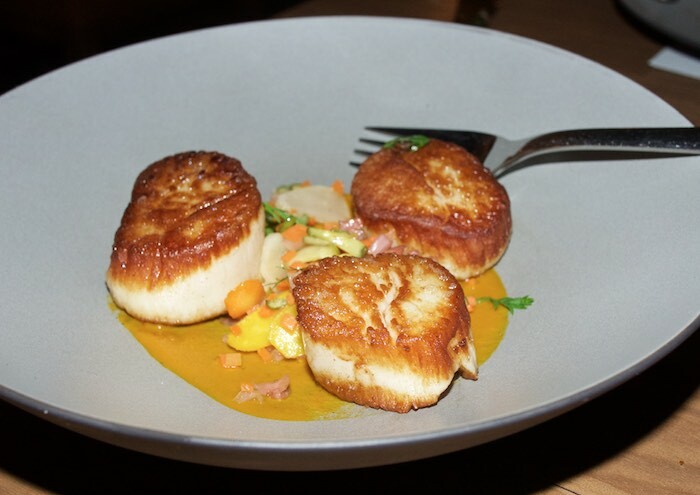 If you are looking for a luxury getaway in Phoenix or a cool place for cocktails & food, I hope you'll consider the Phoenician and it's new restaurant: Mowry & Cotton. What an amazing time you must have had! I love the look of that food! Your pics really got me drooling. So much amazing food! 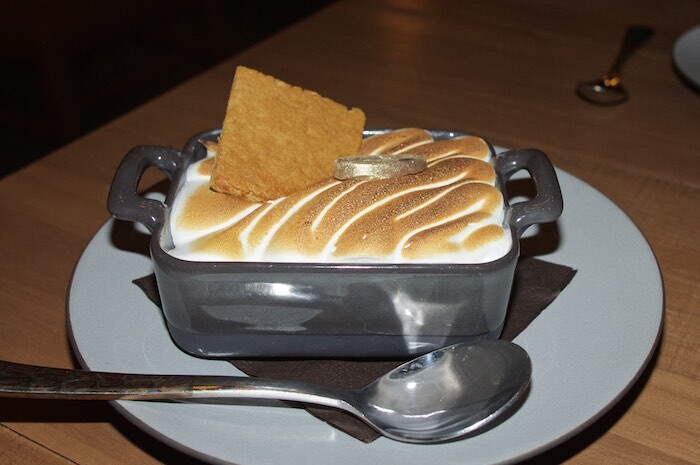 Love the s'mores pie :) Thanks for sharing! OMG that food has me absolutely drooling... And not just because I am starving right now, ha! I want ALL the scallops! This place looks pretty great too... I wouldn't ever wanna leave! Everything looks to amazingly good. I want to go. Wow, all the food looks great. 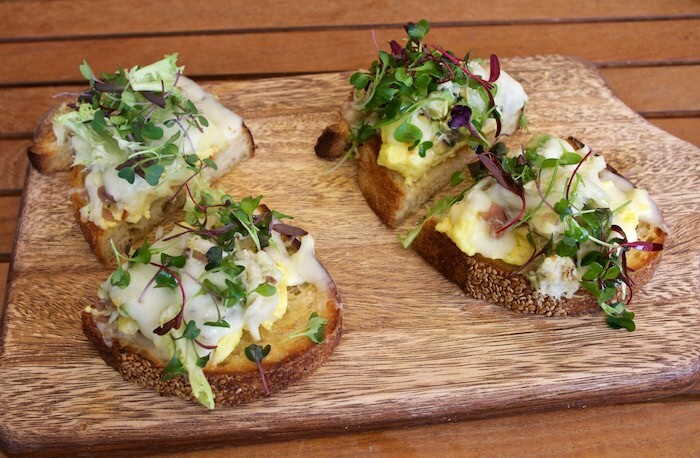 I'm not sure how you picked but I would certainly love to try the breakfast bruschetta, it looks delicious! WoW. Decadent menu items ~ every one! Where to start? Chef Tandy obviously knows her way around the kitchen with these goodies! That squash, the cauliflower.. the pheasant! 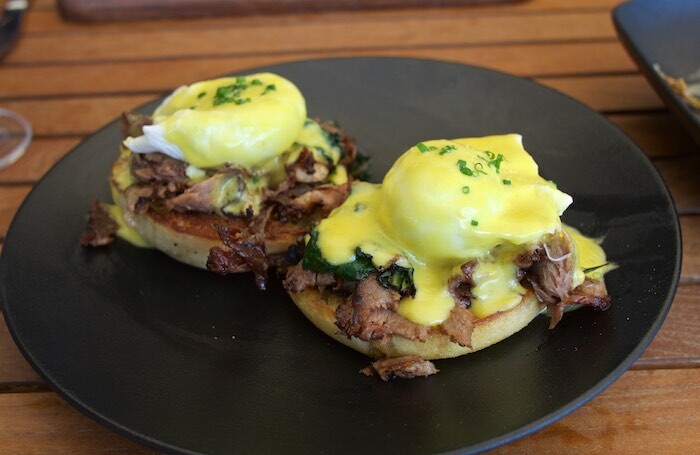 Smoked brisket eggs benny? What a wonderful smorgasbord of flavours! This resort looks like a real treat! Thanks for sharing! Wow... this place is beautiful! I'm usually not impressed with resort food but this looks way different. I'm dying to book a trip! What a nice getaway! Such pretty scenery and love some outdoor yoga! Palm trees and booze.. can I come? ?